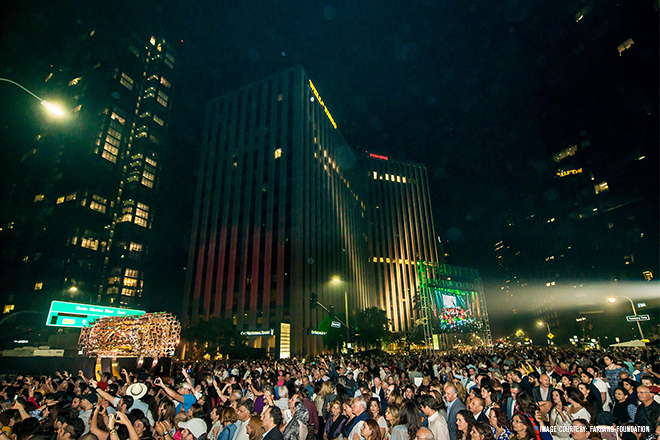 Los Angeles came alive on Tuesday night, as it usually does on the 4th of July. However, there was a special highlight this year, Cecil Balmond's Freedom Sculpture was unveiled in front of 50,000 people at a grand celebration on Santa Monica Boulevard. Part of the road was pedestrianised for the first time in history reflecting a pivotal moment in the story of the United States of America. 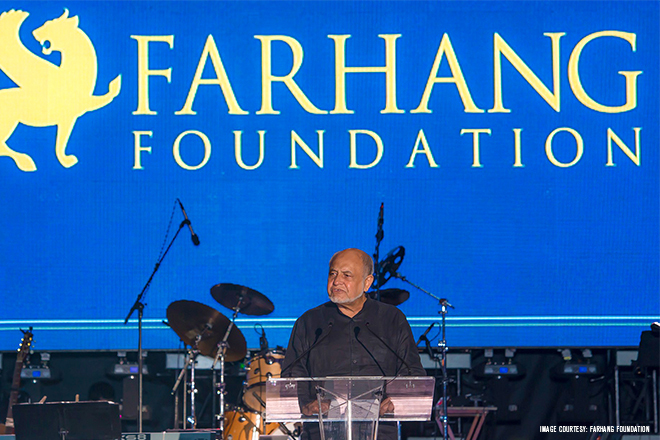 The ancient Cyrus Cylinder artifact was the main inspiration for the sculpture which represents freedom, religious tolerance and the advocacy of universal human rights. Commissioned by the Farhang Foundation and crowdfunded by over a million people from all over the world, the Freedom Sculpture has already been dubbed the "Statue of Liberty of the West Coast". Made of powder coated high polish stainless steel, featuring a kinetic script-like body, the sculpture is sure to draw the attention of passers-by. However, the importance of the humanitarian sentiment behind the work itself is key. 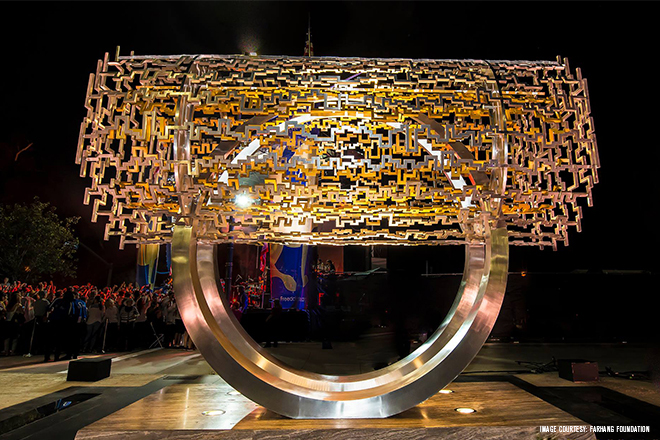 The sculpture will transcend the artistic paradigm, standing as a symbol of freedom and unity for many years to come.